MADRID — Real Madrid showed it can still compete in the Champions League even without Cristiano Ronaldo. 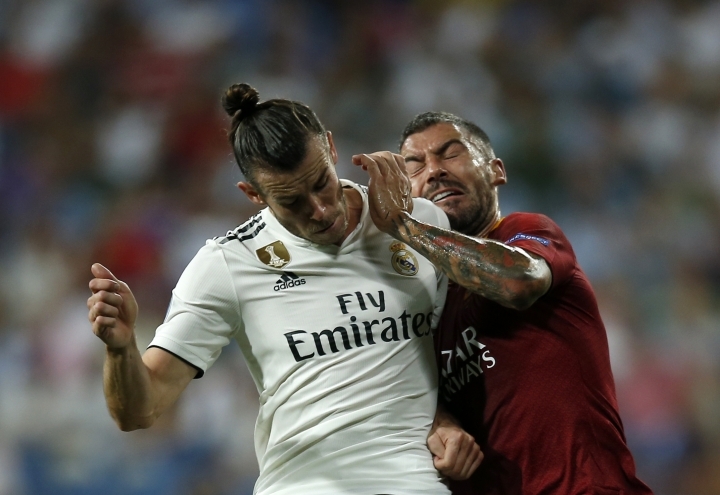 In its first Champions League match without the star forward in nearly a decade, Madrid easily dominated Roma to open its campaign with a comfortable 3-0 home win on Wednesday. 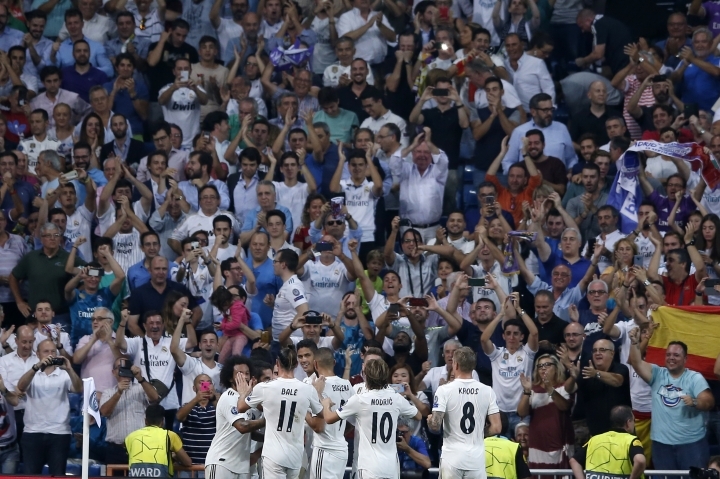 Francisco "Isco" Alarcon, Gareth Bale and Mariano Diaz took care of the scoring in Ronaldo's absence, securing the victory for the three-time defending champions. Meanwhile, Ronaldo, who joined Juventus in the offseason after leading Madrid to four European titles, played his first Champions League game with the Italian club in Group H on Wednesday and was sent off with a straight red card in the first half. 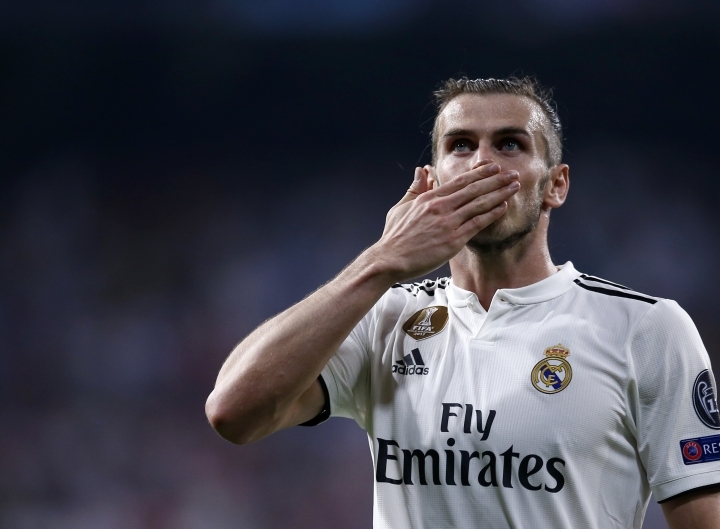 "Real Madrid will always be Real Madrid, no matter who leaves," said Bale, who has scored 10 goals in his last 10 matches with the Spanish club. "We keep on trying to win, keep on trying to score goals." 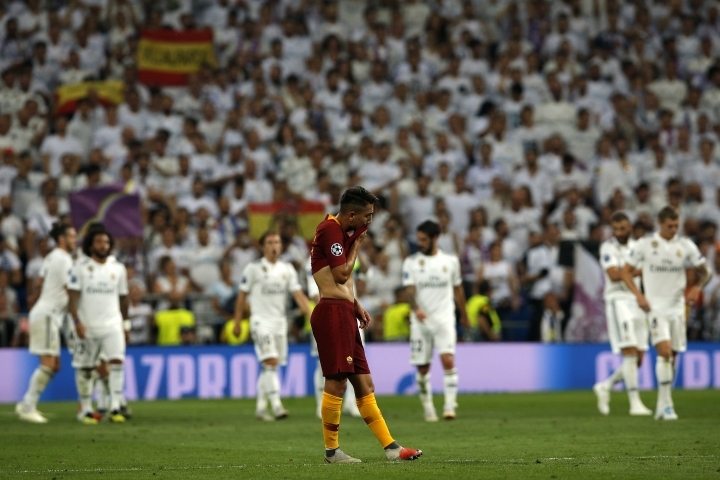 "We have to improve," Roma coach Eusebio Di Francesco said through a translator. "We need more quality and we need more personality." In the other Group G match, Czech club Viktoria Plzen and CSKA Moscow drew 2-2 in Plzen. 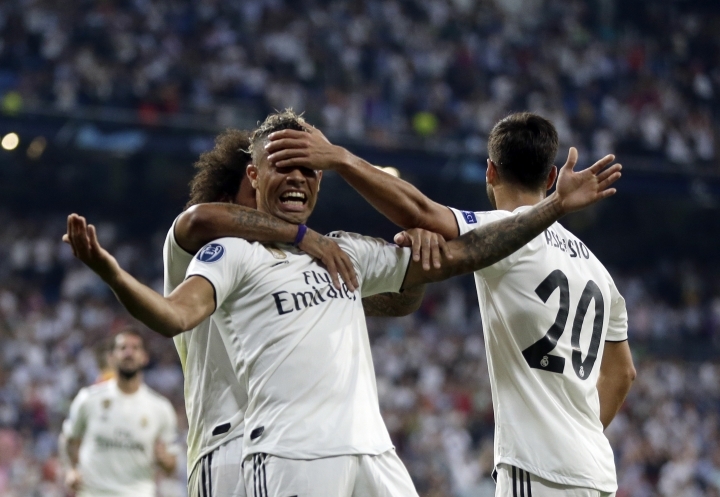 Madrid dominated from the start and created most of the scoring chances throughout the game at Santiago Bernabeu Stadium. Roma goalkeeper Robin Olsen, replacing Alisson Becker after the Brazilian moved to Liverpool in the offseason, put on an outstanding display to keep the Spanish hosts from scoring more goals. But there was nothing Olsen could do on Isco's free kick just before halftime. The Swedish goalkeeper watched as the ball was expertly curled over the wall and went in the far corner. 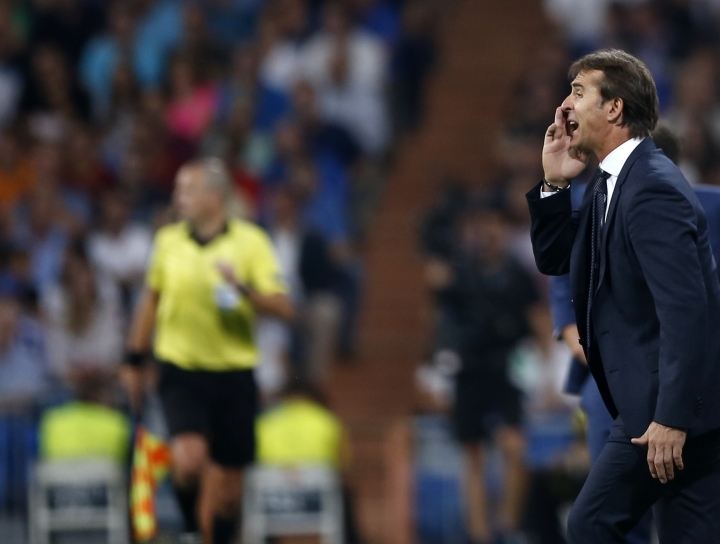 "The team played a great match in all aspects," Madrid coach Julen Lopetegui said. "We created countless chances and we clearly deserved to win." 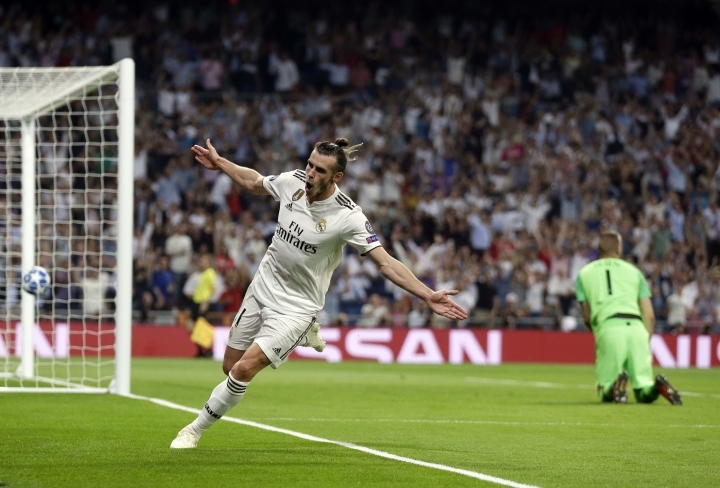 Bale almost increased Madrid's lead with a close-range shot that struck the crossbar early in the second half but the Wales forward did make it 2-0 in the 58th with a well-placed low shot after a superb through ball from Luka Modric. The third goal came in stoppage time with a nicely struck shot from outside the area by Diaz, who had replaced Bale in the 73rd. Diaz was given Ronaldo's No. 7 jersey after rejoining the club in the offseason. 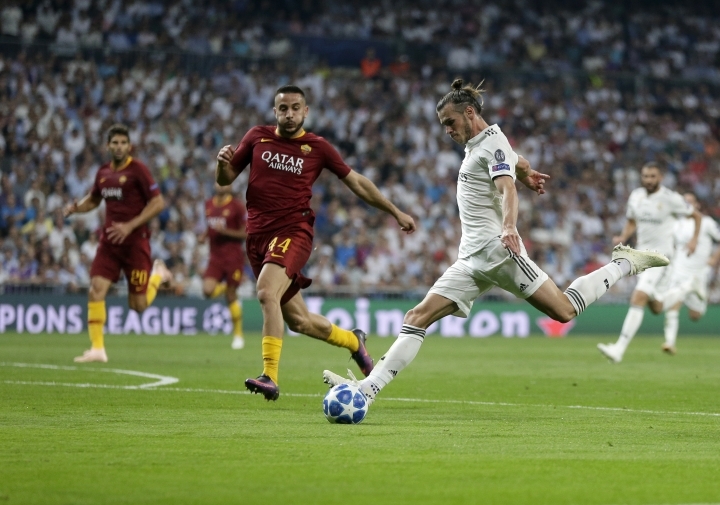 Bale was the only player from Wednesday's lineup who hadn't started for Madrid in the Champions League final nearly four months ago in Ukraine. His place was taken by Ronaldo at the time. In addition to Ronaldo's departure, coach Zinedine Zidane quit and was replaced by former Spain manager Julen Lopetegui. 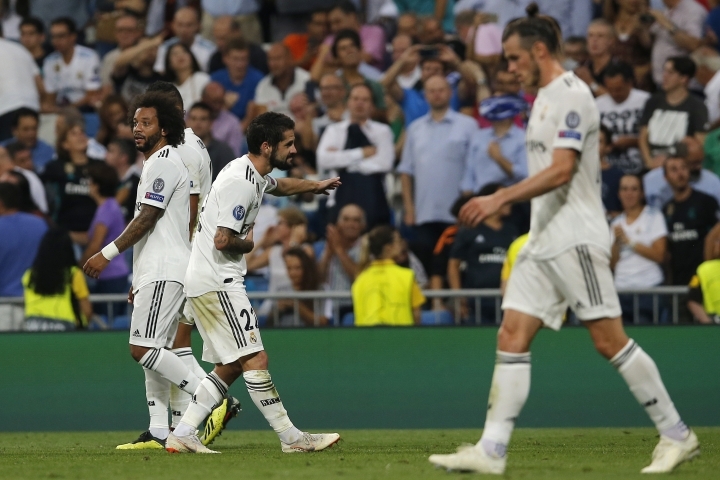 It was the first time that Lopetegui didn't opt to play with Marco Asensio up front along with Bale and Karim Benzema, although Isco was often near the attackers when Madrid held possession. Lopetegui also kept Keylor Navas in goal despite the recent arrival of Thibaut Courtois, voted the World Cup's best goalkeeper with Belgium. It was a special night for 19-year-old Roma midfielder Nicolo Zaniolo, who made his professional debut only two months after being signed by Roma. Zaniolo recently helped Italy's under-19 team reach the European Championship final. 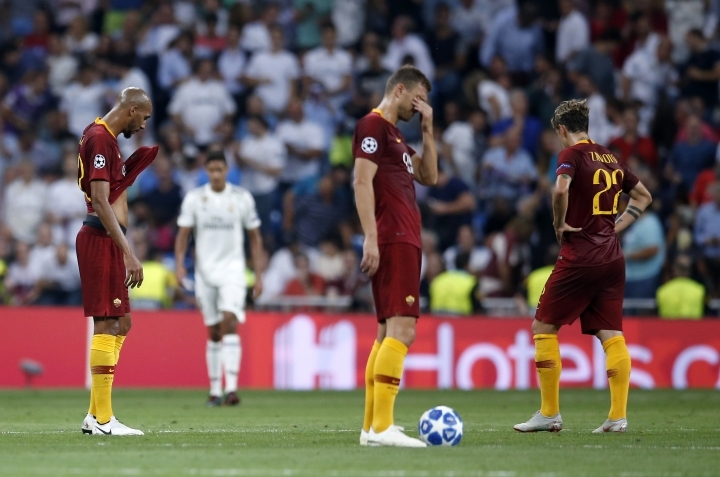 Roma has high expectations in the Champions League after making it to the last four last season, when it lost to Liverpool after having eliminated Barcelona in the quarterfinals. 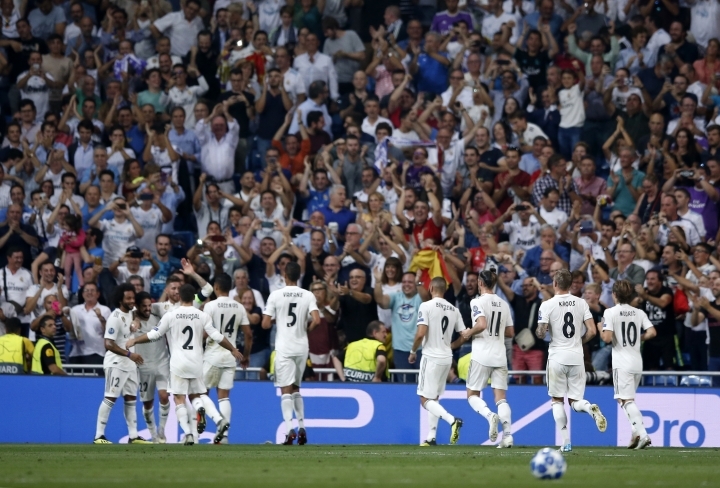 Madrid next faces CSKA Moscow in Russia on Oct. 2, when Roma hosts Viktoria Plzen.